Considerations for Being a Sperm or Egg Donor - Kinsey Law Group, P.C. Have you ever thought about becoming a sperm or egg donor? The idea may have crossed your mind, either through a suggestion from a friend, a flier pinned to a bulletin board, an online ad, or a headline in your news feed. The trouble with those sources is that they don’t give you all the information you need to make a wise decision. If you find yourself thinking more and more about the possibility of being a donor, consider a few important questions first. Do You Know Enough About Yourself? Are you well-informed about your medical history? Are there any genetic conditions in your family that you might pass on to the children that would be born via your donation? Before you become a donor, you may want to think about any potential risks to your future offspring. If you do decide to donate sperm or eggs, and later you or someone in your immediate family discovers a health issue that could affect a biological child of yours, you need to inform the sperm bank or the egg donation agency about the problem. That way, they can assess the risk and cease distribution of your donated genetic material if necessary. You could also post the information anonymously to a website like donorsiblingregistry.com, so that any existing child of yours can find that updated genetic or medical information and take any necessary actions to get testing or treatment. How Do You Feel About Donating Your DNA? Think long and carefully about the ramifications of becoming a donor. If you donate sperm, it could be donated to anyone. Children that are biologically half yours will likely exist in the world at some point. They will be raised by people whom you know nothing about, and whom you will likely never meet. If that makes you feel uncomfortable, then donation may not be right for you. If you’re okay with that scenario, thinking of it as a way to assist childless couples, then you may be a good candidate for donation. How Will the Donation Affect Your Future? Think about how your donation could affect your future family. If you decide to have children of your own one day, there’s a chance that your kids and their half-siblings via donation may meet each other eventually. There is also a possibility that your biological children will get curious and track you down. You’ll need to have a plan in place to address these situations if they occur. How Will You Explain Your Choice to Donate? Donating your eggs or sperm may not be something that you want to discuss with everyone in your life. However, you should be prepared to tell certain people, such as your significant other. If you’re already married and considering donation, talk to spouse about it. Ideally, you should have the support of your spouse before you proceed. Being open and honest about sperm donation and egg donation eliminates the possibility of an unpleasant surprise and hurt feelings later. 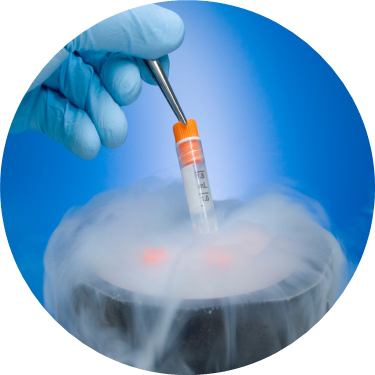 If you do decide to pursue egg or sperm donation, talk to an assisted reproduction lawyer in Maryland or in your home state. Your attorney can help you sort through any legal matters related to the donation, protecting you legally and ensuring that all the paperwork is in order.